Matthew Craig was an IILJ Scholar from 2010-2013 and received his J.D. from NYU Law in 2013. He has experience clerking for Judge Gerard E. Lynch (U.S. Court of Appeals, Second Circuit) and Judge Allyne R. Ross (U.S. District Court, E.D.N.Y.). 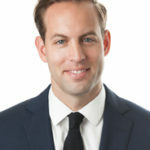 Matthew joined Shapiro Arato in September 2015. His practice focuses on complex civil litigation, white collar criminal litigation, and appellate advocacy. Prior to joining the firm, Matthew served as a Presidential Fellow at the Open Society Foundations.